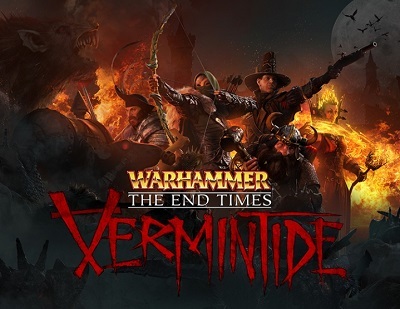 - Game Warhammer: End Times - Vermintide. - The map of Huberschreick. - A set of behind-the-scenes materials. - Atmospheric compositions of the soundtrack of the game from Kyud Jesper. - Hat of cleansing light. - Helm of the Ironbeards. Vermintide´s actions take place in the city of Hubershreik and its environs, which are teeming with Scavenam - a race of ruthless rat people. You will play the role of one of five heroes, each of which has a unique personality, game style, abilities and equipment. Working together, you must use the individual abilities of the heroes to survive in the apocalyptic invasion of hordes of scavens. Battles will occur in a variety of locations, from the top of the Tower of Magna and ending with the bowels of the Lower Empire.